A night at the museum and a broken sculpture lead to artistic injustice—unless Nancy Drew and the Clue Crew can find the true culprit! Nancy, Bess, and George are so excited. Their favorite new art teacher, Miss Alcott, is taking them on their best class trip yet—a sleepover at the River Heights museum! The girls can’t wait to see some famous paintings, eat fancy food at the museum cafeteria, and have a great time with their classmates on the sleepover. But when an expensive sculpture gets broken, the River Heights students get blamed. 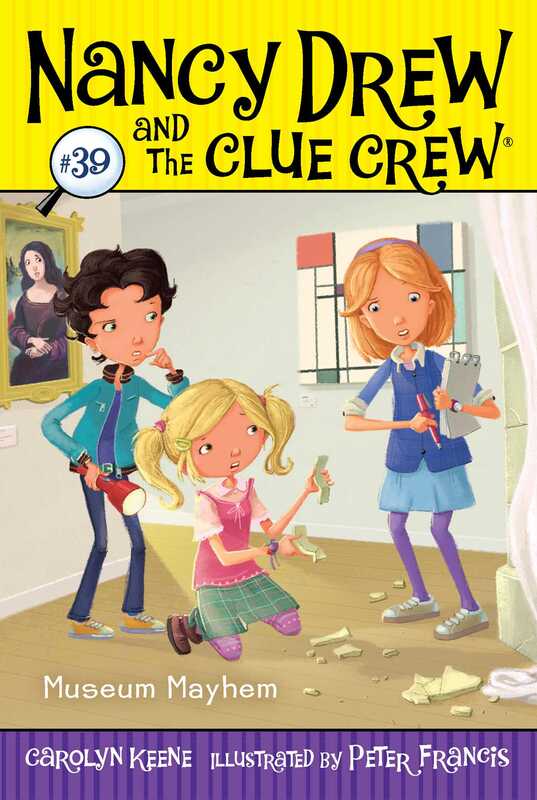 Nancy knows her class didn’t do it, so it’s up to the Clue Crew to find the real culprit before Miss Alcott gets in trouble and the whole field trip is ruined! Carolyn Keene is the author of the ever-popular Nancy Drew books. Peter Francis lives in Brighton, UK, where he spent a number of years as an illustrator for children’s television before turning to books. When not painting in his studio, he enjoys long coastal walks, exploring local history, and growing vegetables.